Included with the VIP software are over 400 Plugin Maps for most VST Instruments (VSTi) on the market today. Plugin Maps give you automatic factory preset importing, automatic category tagging, and automatic controller mapping. Keep in mind that you do not need a Plugin Map in order to use your favorite VSTi with VIP. You can easily manage and import maps for your own VST instrument plugins, import and add presets, and customize your tags. You can find a video walk through here. What is a Plugin Map? A Plugin Map gives you automatic factory preset importing, automatic category tagging, and automatic controller mapping. 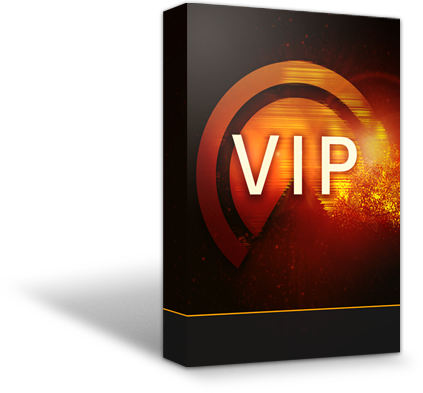 The VIP software automatically imports all of the built-in factory presets from your favorite VST instrument (VSTi) directly into the VIP software for instantaneous access. You can also easily and quickly import all of your own User Presets. Here is a video walk through. The VIP software automatically assigns Category Tags to all of your VST Instrument (VSTi) presets that have been imported. This allows for the ability to find the specific sounds you want without the need to scroll through all of the individual VST instruments and their presets. Every factory preset is automatically tagged according to the type of sound it produces, such as Instrument Type, Timbre, Style, and Articulation. You can also easily add and delete tags as you see fit, create new category tag names, and assign any tag(s) to your imported user presets without limitation. Here is a walk through. The VIP software automatically maps the most popular parameters of your favorite VSTi right to the hardware controls on your Akai Pro Advance, Alesis VX49, or M-Audio CTRL49, providing instant real-time control over all the patches in all of your plugins. Which Plugin Maps are included? Don't see your VST instrument plugin in the list? Let us know! Please fill-out the required fields.